This month, I’m looking for your help in deciding whether to start a podcast dedicated to video biographies & personal history – and I share an article from Investment News featuring Family Legacy Video, Inc.
To podcast – or not to podcast! 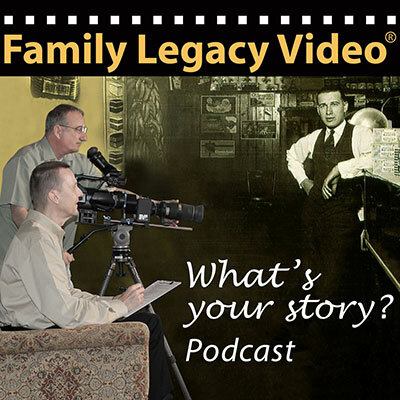 As president of Family Legacy Video®, I’m always looking for ways to inform, inspire, and generally raise awareness around the subjects of personal history and video biographies. To that end, I’m considering starting a podcast. I’ve created a sample episode that represents the kind of show I’m thinking about. BUT – before I go to the trouble of setting up podcast hosting and all the other technical steps I need to take to make a podcast a reality, I’m looking for your help. Would you listen to the sample below and then send me a review? I’d love to know if you’d subscribe and listen to a show like this. Please let me know what you really think – I certainly don’t want to offer up a show that wouldn’t interest you. You can use the player below to stream the show, or the link to download the file to play on your computer or mobile device. I’ve also included an e-mail link to make it easy for you to send me your thoughts. Thanks in advance for your help! Running time is 21 minutes, 31 seconds. Submit your review – thanks! It pays to pick up the phone. It was Monday, August 10. I was just getting my day underway when my office phone rang. On the other end of the line was a lady named Liz Skinner. Turned out that Liz is a writer for a print and online publication called Investment News. She was working on an article about passing legacies to younger generations and was intrigued by the video angle. 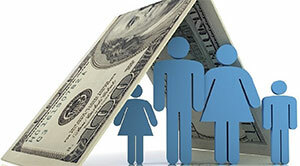 A Web search led her to Family Legacy Video®. Would I mind answering some questions? I spent a few minutes on the phone with Liz, and then, later that same day, I was pleasantly surprised to see an article featuring my comments online. It sure was a great way to start the week! You can download a PDF copy of the article here.